Wear your hair up to show this beautiful Elvira Crystal Necklace Set off. 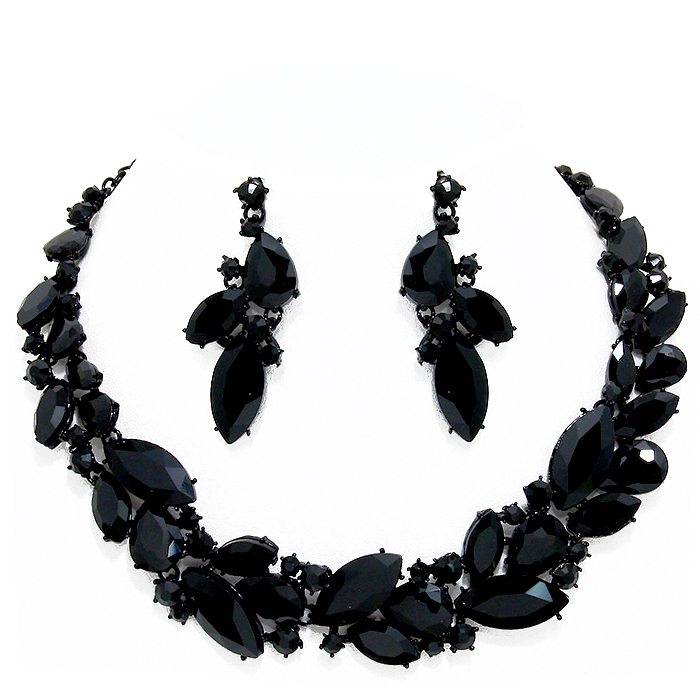 Fashioned with black acrylic stones and crystals, the necklace will let you dazzle! Matching drop earrings. Buy your jewellery online here at Oz Bling, spend $150+ and get a FREE bonus gift.